*WARNING* This post contains countless clichés! 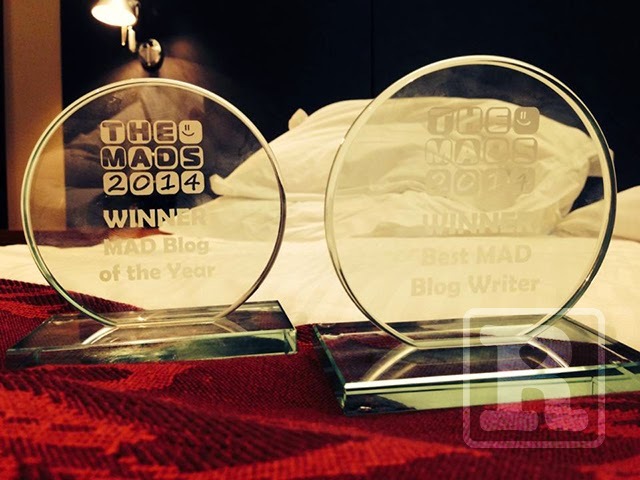 So apologies in advance for a post likely to be packed full of obvious statements but I just can't find the words to express my total shock at coming away from Friday night's 2014 MAD Blog Awards as the winner of not only the 'Best Writer' category but also 'Blog of the Year' too. Before I bore you with the details I would like to give my heartfelt thanks to each and everyone of you that nominated and voted for The Future's Rosie – without your continued support the blog would simply be floating around looking a bit lost in cyberspace and I'd have probably given up as soon as I'd started back in 2012. The finalists in all categories made up an extremely impressive list of talent from all aspects of the parent blogging spectrum. A mere 75 finalists were in attendance after over 250,000 nominations and votes! The night started with a champagne reception which certainly helped settle any nerves. Feeling rather outnumbered by women I was relieved to see a fellow Dad blogger and had a great chat with Ricky AKA Skint Dad – A very inspirational story for anyone finding themselves struggling financially. I also enjoyed catching up with a few familiar faces from last years event before it was time to sit down and be wined and dined. A big highlight for me came when the winner of 'Best New Blog' was announced as 'Don't be Sorry'. 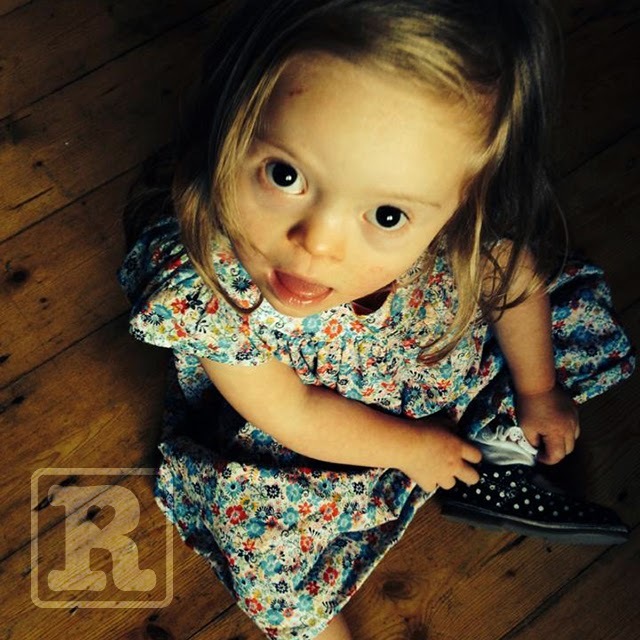 For those few of you that haven't heard of it yet, Don't be Sorry is a beautiful and honest blog written by Sarah Roberts about her son Oscar, who like Rosie, happens to have Down's syndrome. I felt a little sting in my eye as it was announce because I knew Sarah hadn't expected to win at all having just spoken to her, but I was also so proud to see another blog about Down's syndrome acknowledged and rewarded in the parent blogging community. Also representing us 'DS Bloggers' as an Outstanding Contributor was the remarkable Hayley from Downs Side Up – little by little we are becoming a voice that will hopefully play it's part in making a difference for the future of our little ones. In truth I hadn't expected anything myself from the evening especially in light of the exceptional finalists I found myself amongst in my two categories. 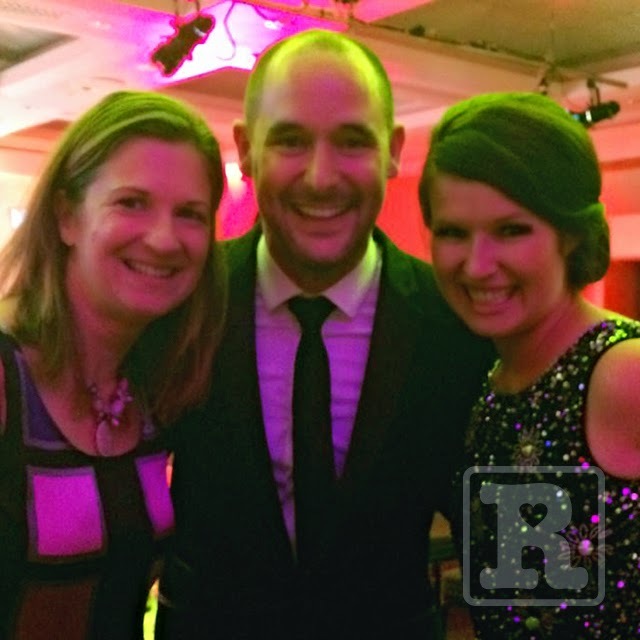 I thought I'd had my moment at last years event with 'Best New Blog' – even then I was convinced it was just a fluke. So when The Future's Rosie was announced as winner of The Watch Hut sponsored 'Best Writer' category I was genuinely shocked. Like the previous year I cannot remember what I said – being thrown into the limelight is my biggest nightmare, I am however, pretty confident it made very little sense! As the evening fell on the third anniversary of Rosie's heart surgery I felt it only right to dedicate the award to all those healthcare professionals who helped fix her tiny heart. 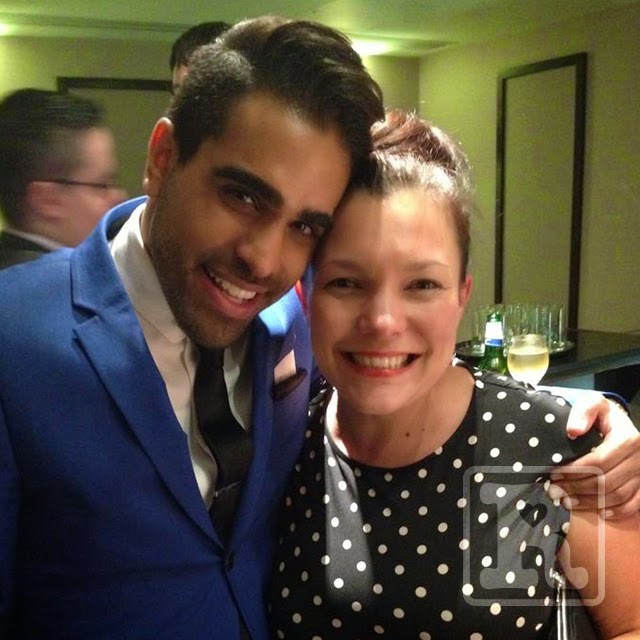 I was extremely touched by the kind words from the host of the evening 'Dr Ranj (of cBeebies and This Morning fame). As a major added bonus, The Watch Hut very generously gave me £500 towards a new watch too! As I sat down again my heart was still racing and I texted my wife Karen, who was upstairs enjoying the comforts of the swanky Royal Garden Hotel. 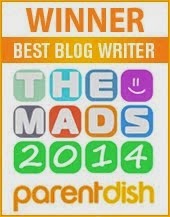 Then seemingly out of nowhere they announced TFR again – this time as the 2014 'Blog of the Year' sponsored by Parentdish. I'm racking my tiny and tired brain for better words to describe the shock but I'm going to have to settle for stunned and numb! Needless to say I had a great night celebrating into the early hours. I was most impressed that Karen, Hayley and I found ourselves to be the last ones standing! Thank you to Sally and all of the MADS team for a brilliant night and for making all the finalists feel so amazing. I'd like to say a special thank you to my family and friends for being such a huge support, especially Karen and my three amazing kids. Obviously the biggest thanks goes to my little bundle of joy 'Budlington' who continues to teach and inspire me every single day. Massive congratulations, and fully deserved! CONGRATS, and very well deserved. Tom, I will never forget that night. It's still sinking in. We literally romped home with so many awards between us. So very proud to work alongside you and your incredible family. CONGRATULATIONS again, and sorry for being a gooseberry! 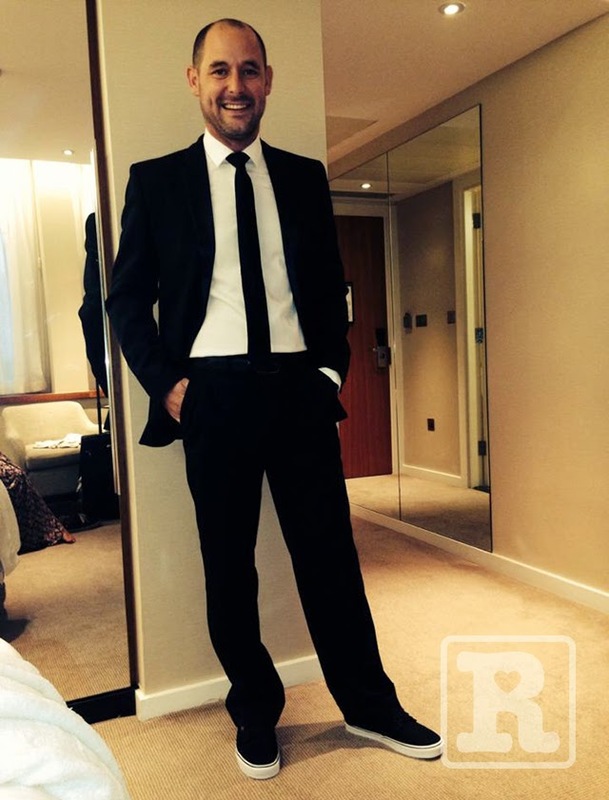 Wow Tom! Congratulations, you thoroughly deserve it! Just one question, how are you going to improve on this next year?! An amazing night for you and well deserved. You do a great job with your blog and it's lovely to see it recognised. Congratulations on both of your wins! 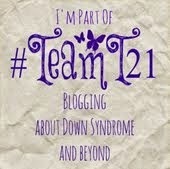 You DS bloggers are all doing really brilliantly and have achieved so much. Outstanding category for you next year? Tom, your blog is amazing, and your ability to capture a story and make your audience feel a part of it is really quite something to behold. So a very well deserved win, we couldn't be more pleased for you. congratulations again and thanks so much for coming along. I have a child with Down's. I live in the USA and 25 years ago when I gave birth to her brother, my doctor wanted me to have an amnio. He believed I wouldn't want to raise another handicapped child. I refused. I was not about to kill my child, no matter what God challenged me with! I applaud you!